HasbroToyShop promo code NEW17 saves you 20% on new toys through November 5th. 20% off most Products currently for sale in the New Toys and Games category on HasbroToyShop.com through November 5, 2017 at 11:59 p.m. ET. with promo code NEW17. Interim markdowns may have been taken. Discount applies to pre-tax and pre-shipping amount. This offer cannot be combined with any other offer. Excludes HasbroToyShop.com exclusives and gift cards. While supplies last. No rain checks. Not valid on previous orders. Subject to terms and conditions of use and HasbroToyShop.com policies. ©2017 Hasbro. All Rights Reserved. Free shipping on most orders over $25 at HasbroToyShop with promo code FALLSHIP17 at checkout. Free standard shipping on most orders over $25, on HasbroToyShop.com through November 12, 2017 at 11:59 p.m. ET. with promo code FALLSHIP17. Discount applies to pre-tax and pre-shipping amount. Offer excludes purchases of HasbroToyShop.com exclusives. Other exclusions may apply. No rain checks. Not valid on previous orders. Offer valid in continental U.S. only. Subject to terms and conditions of use and HasbroToyShop.com policies. TRU is running a BOGO offer this week. I'm not sure of the exact duration of the sale, but it's Buy One, Get One for 40% off. I picked up the TRU exclusive Force Link set with the EPG and First Order Executioner Stormtrooper, along with the Vader & Probe Droid set. Until midnight Pacific tonight, BB-8 Mega Playset for $83.12. I combined buying that with the Target exclusive 6" TBS Luke Skywalker (Ahch-To), and saved and additional $10 off of the $50ish for the two items. So I think all told the TIE Silencer and the 6" TBS Luke cost me about $43. 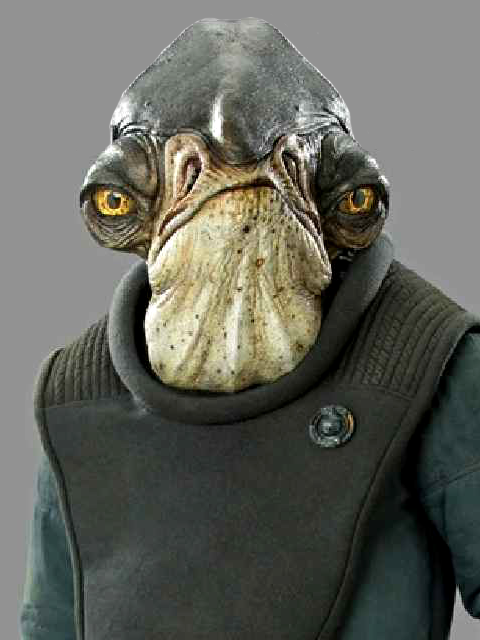 I'm picking up the TIE Silencer and I got free shipping on Luke. Target has 20% off most Star Wars items this weekend along with $10 off $50 or $25 off $100 on toys. 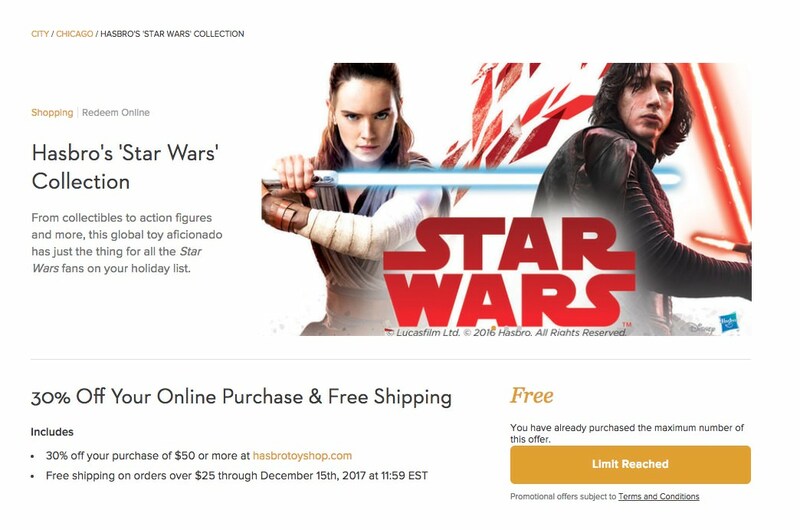 In my spoiler-avoidance hibernation last week, I missed the fact that EE was offering FREE shipping for all in-stock Star Wars items in your order. HasbroToyShop is running a new Winter sale this week. Use promo code WINTERSALE18 at checkout to save 20% off Monday & Tuesday (1/29-1/30); 15% off Wednesday & Thursday (1/31-2/1); and 10% off Friday, Saturday, & Sunday (2/2-2/4).